Who or what is Mapuche? 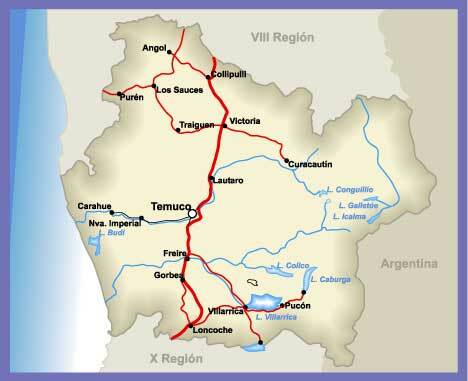 Mapuche refers to the indiginous people in Chile comprising about 10% of Chile’s total population (a smaller amount live in parts of southwestern Argentina too). The Araucanía region in Chile is home to the largest concentration of these people with 80% of the Mapuche people living there. Within Mapuche people, there exists many different groups but they are bound together by their cultural beliefs. The Mapuche were the only group of indiginous people in South America to successfully maintain their independence, first against the Inca empire & later the Spanish. They have a fascinating culture which includes their own language, mythology, textiles & jewerly making. And of course, food. If you want to read more about their history and culture, click here. Sorry to disappoint any history buffs but I am here to talk about Mapuche food. 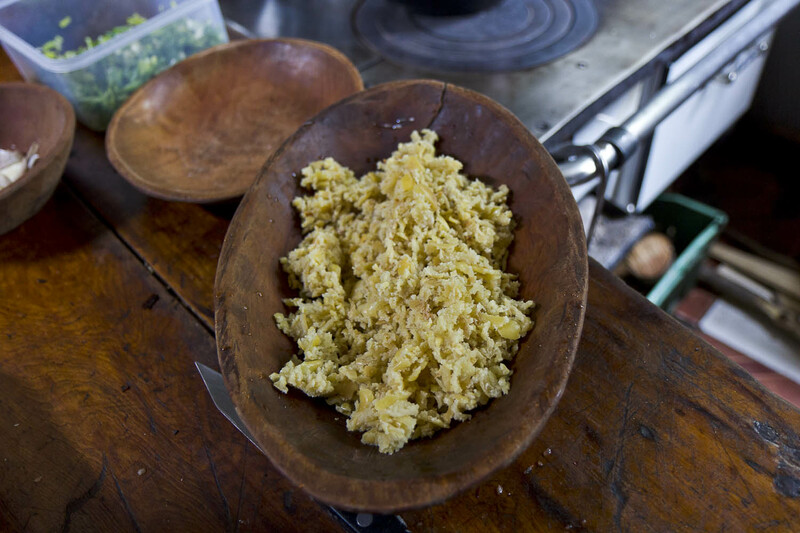 My first introduction to Mapuche food was in the form of a certain spice found all over Chile. Merkén. 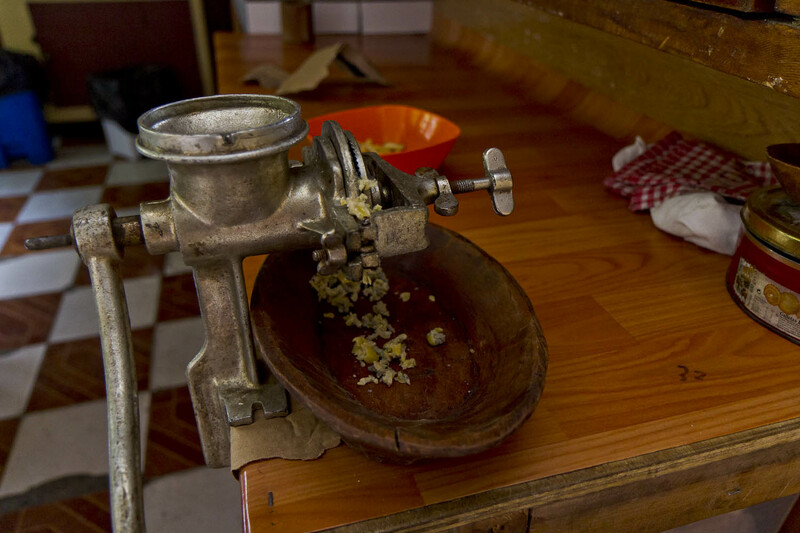 You find merkén on tables in restaurants, in probably every Chileans cupboard and in every store (no matter how small). It’s probably one of the most used Mapuche ‘foods’ in modern Chile, even though it’s technically a spice. So what exactly is it? 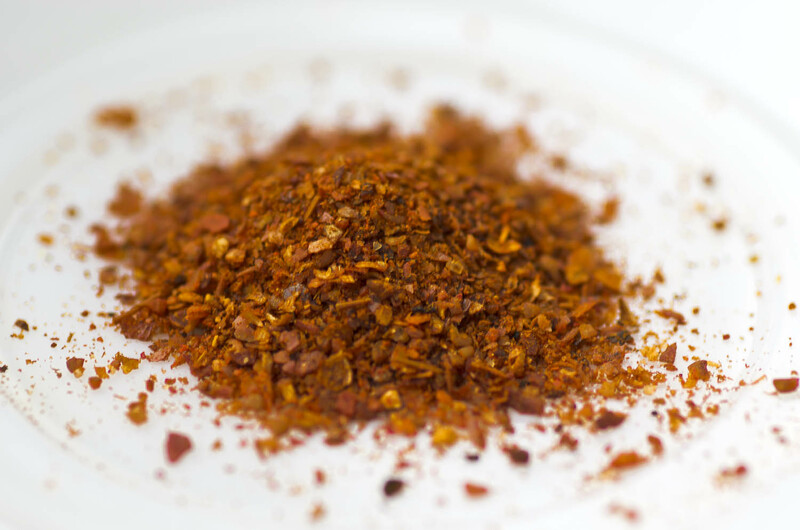 It’s made from drying or toasting aji cacho de cabra (goat horn peppers-the shape of the pepper resembles a goat’s horn) and then adding toasted, ground coriander seeds and salt. It’s about 75% aji, 15% salt & 10 % coriander seeds. 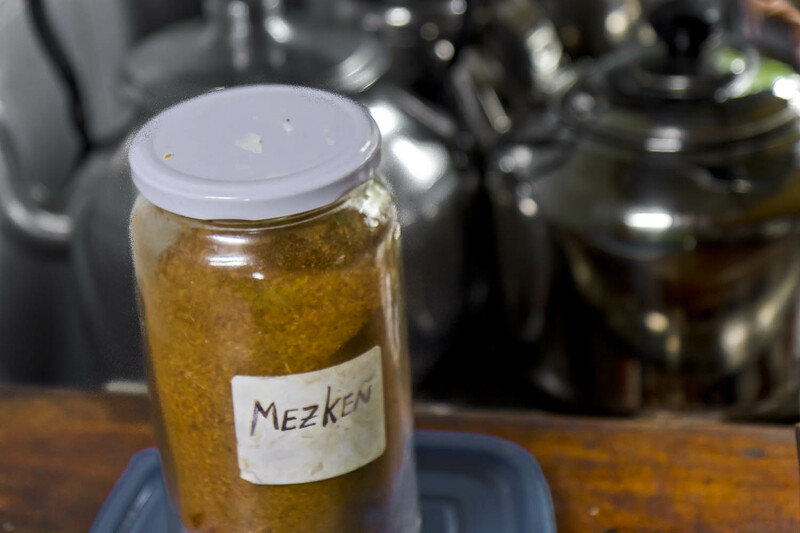 There is NO cumin in true merkén despite what other recipes say. Sometimes you can find it without the salt or coriander. Surprisingly, it is not a spice with a lot of heat. It has a great smoky flavor and a mild chili kick to it. It’s versatile and you can use it in everything from sandwiches, eggs, soups, stews, meats, fish, whatever you like. 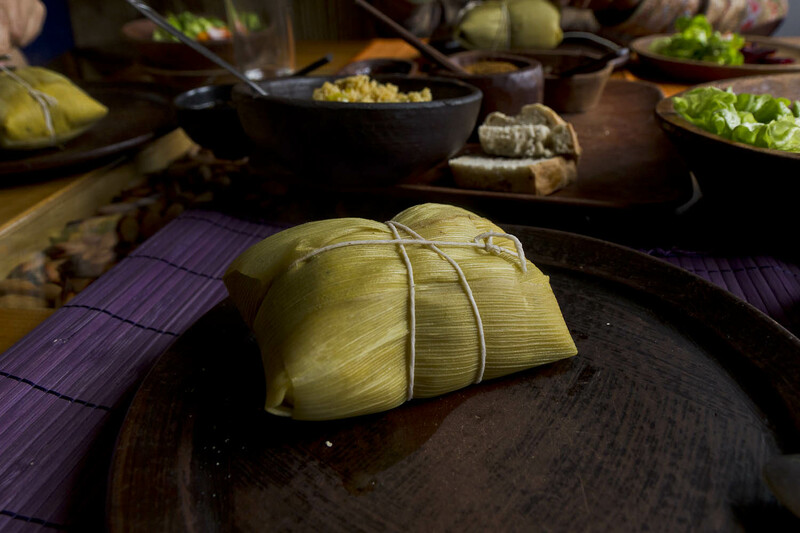 Merkén remains central to Mapuche cooking to this day. 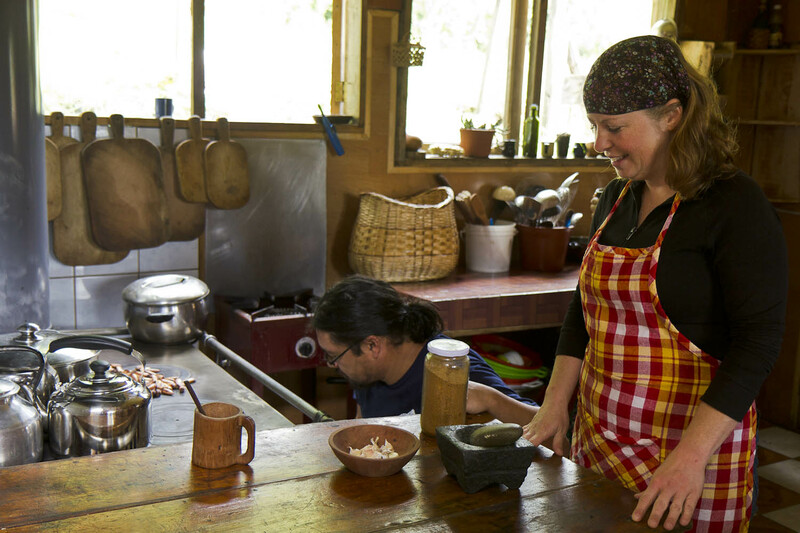 Since we were visiting Pucon, I decided to catch a bus to nearby Curarrehue (a small Mapuche town) to take a traditional Mapuche cooking class. 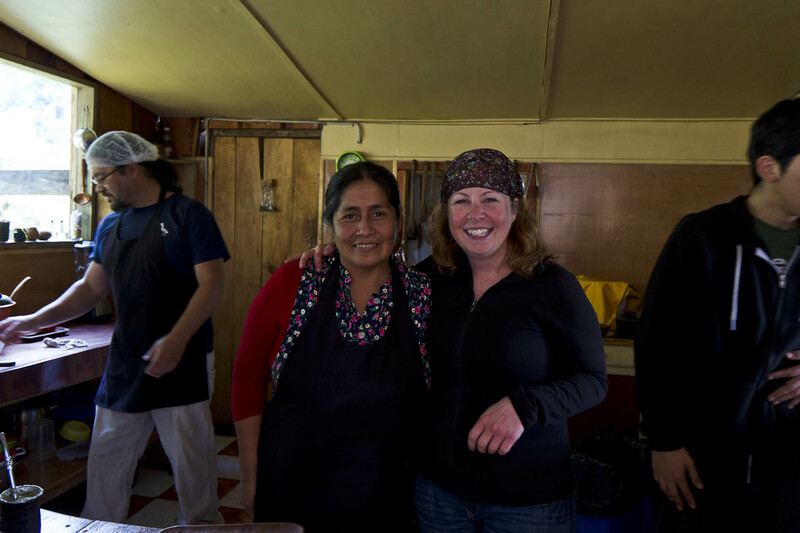 I met with chef Anita who runs her own ruka which are restaurants that feature Mapuche cooking. 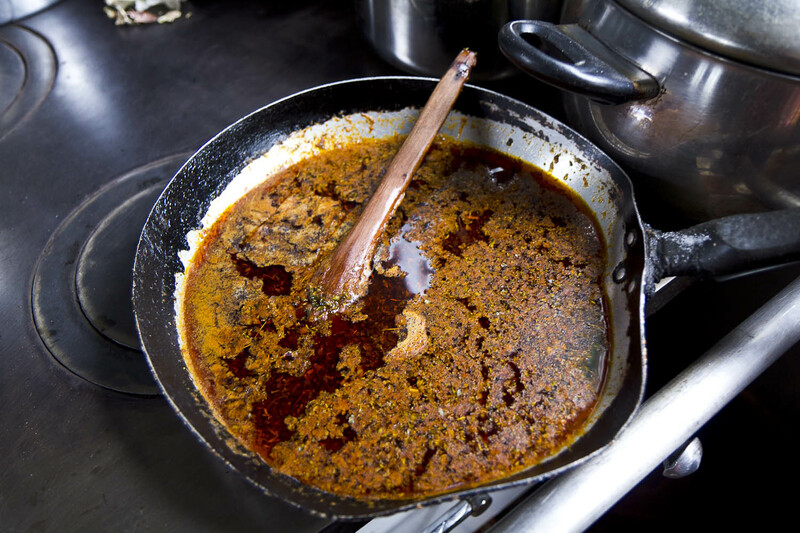 The first thing we did was make a flavored oil which served as the basis for most things we cooked. This oil is used in many dishes and is even served as a condiment at the table for spooning on bread or potatoes. 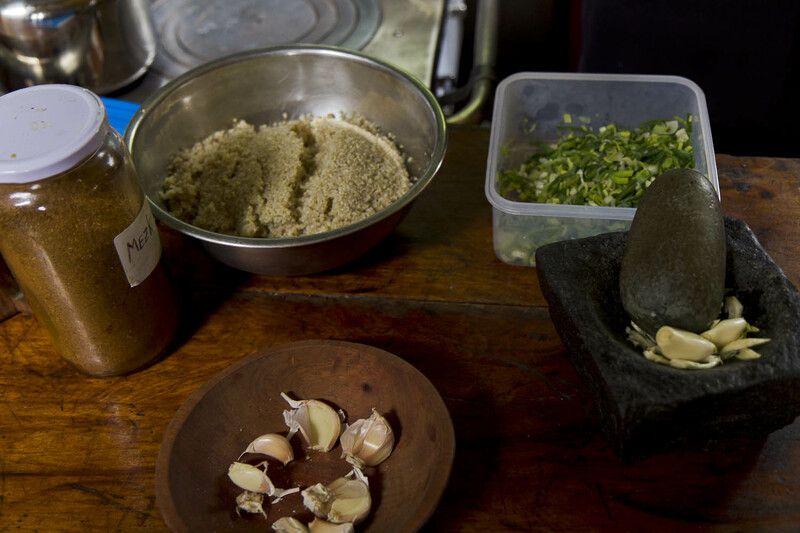 To make the oil, first we ground up garlic with a mortar & pestle. Then we added the garlic to the warmed oil, followed by merkén, salt & dried oregano. You warm it for about 15 minutes and you can either strain it or leave everything inside like we did. Anita dries all her own herbs. 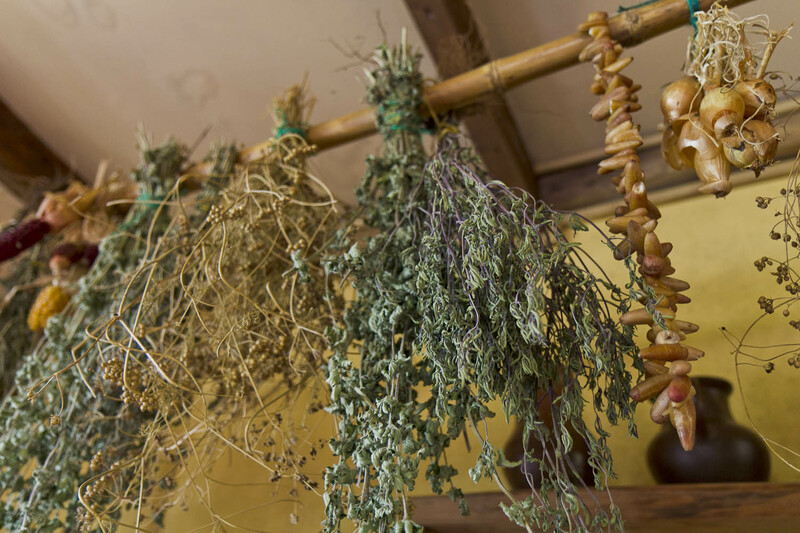 Many herbs, including oregano, coriander & mint are also central to Mapuche cooking. 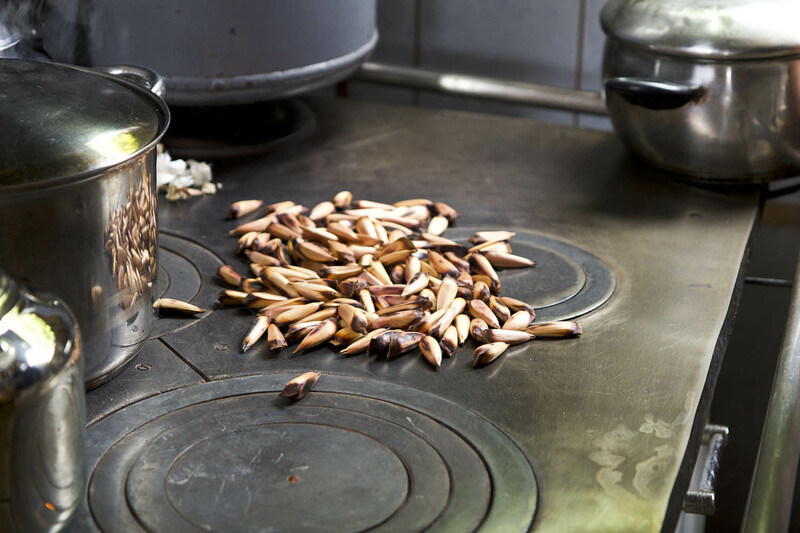 The second most important ingredient for the Mapuches are the pinoñes nuts. 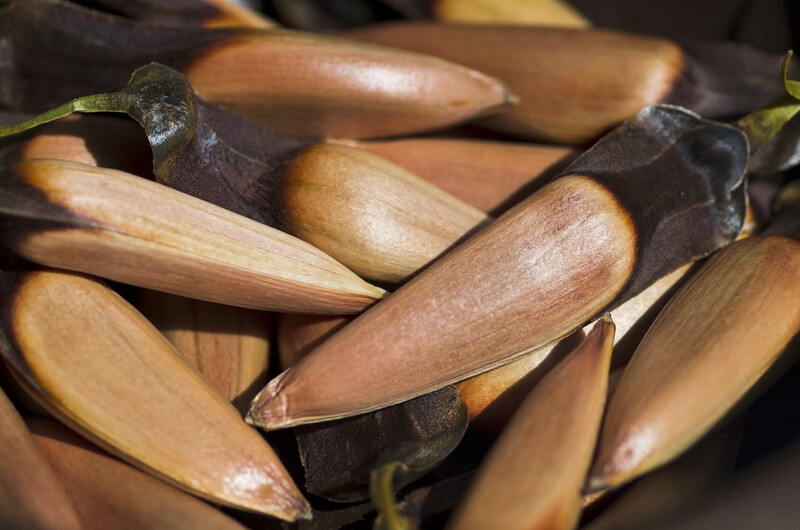 These are a type of pine nut found from the Araucana tree (known as monkey puzzle trees), which I spoke about in my last post when we visited Cañi. These trees are frequently found in this region. I was even able to forage for my own pinoñes. 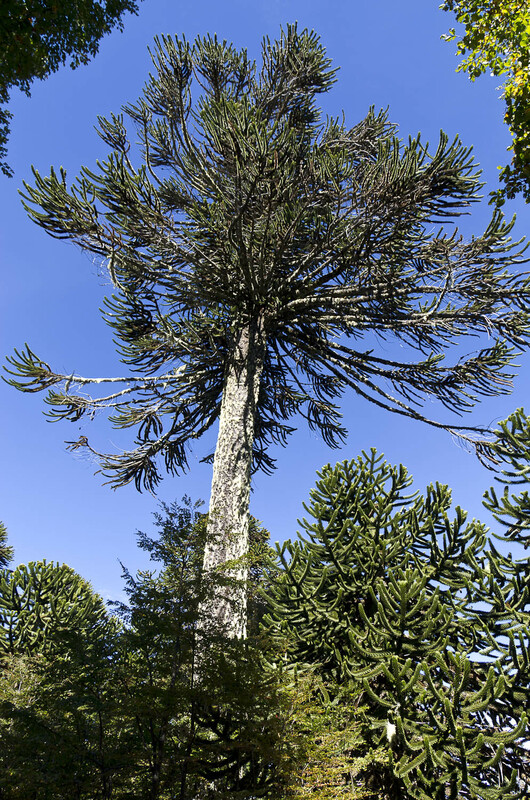 These trees get their ‘monkey puzzle’ name because climbing one would be a puzzle even for a monkey! It takes an Araucana tree 80 years to start producing these nuts. The Mapuche go out during the autumn months to forage for these (sometimes digging through the snow) and use them not only in their cooking but also for jewelery. They have a mild, nutty flavor and are highly nutritious. 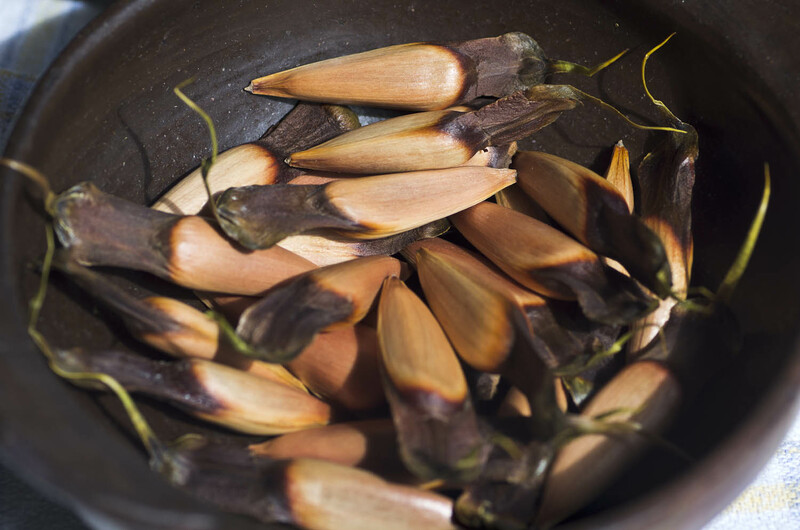 After they are toasted, the skins just rub off between your fingers. They are quite good on their own, they have a very mild flavor. We ate them dipped in roseta mosqueta (rosehip) marmelade that Anita had made. Rosehips are native to Chile and you can find them made into a delicious jam everywhere in the country. More interesting, we ground them for use in a soup. 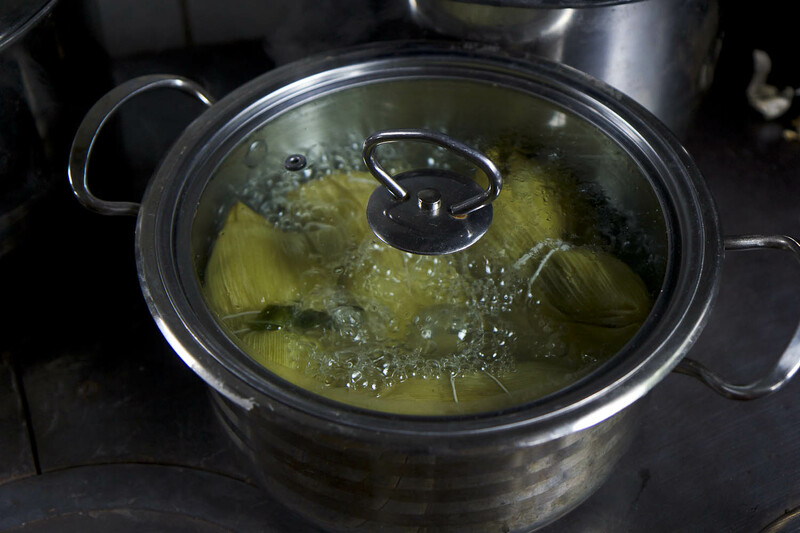 This soup is one of the most important in Mapuche cooking and is often served prior to meals. You can also grind them further into flour. Mapuches do this for making their bread. We made a sweet version with milk, honey & mint. First we combined milk with mint (left whole) and honey. We brought it to a near boil and then added the milcaos. After about 3 minutes of cooking, they began to rise to the top. Just scoop them out and serve them with some of the ‘milk and honey sauce’. 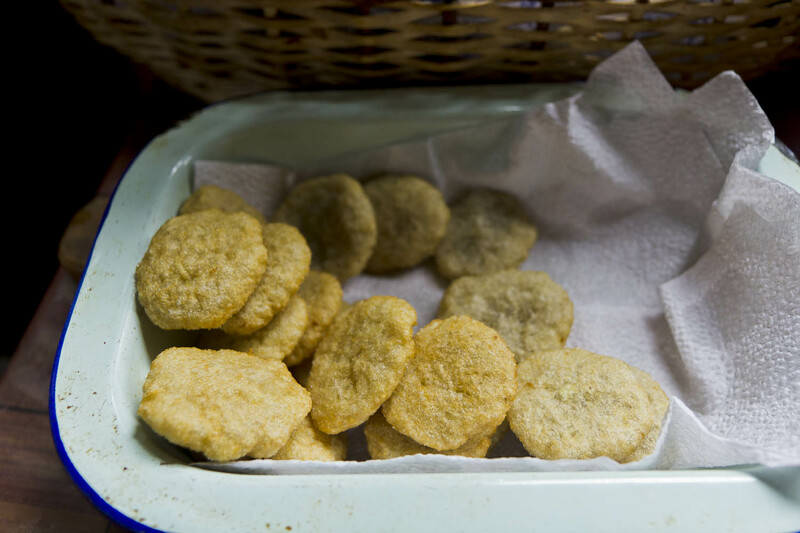 For the savory version, we fried the small milcaos in hot oil. Why is everything fried so damn tasty?! 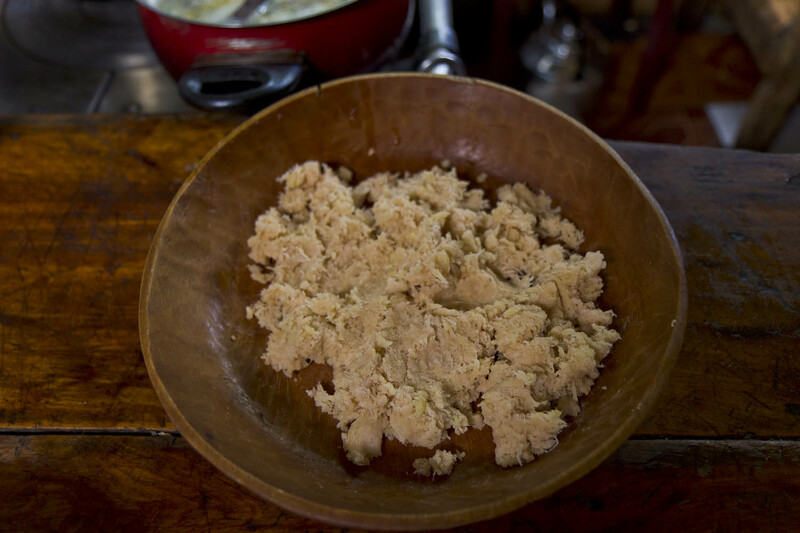 I was learning that Mapuche cooking focuses on very simple ingredients and preparations. Aside from the frying of the potatoes, it was mostly healthy cooking focusing using no meat. 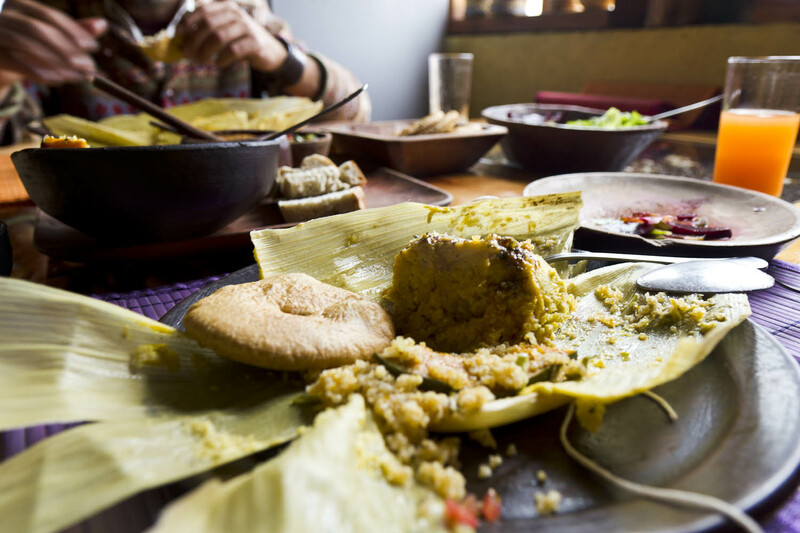 Quinoa is another ingredient used often in Mapuche dishes. It’s a bit strange though because quinoa grows high up in the Andes mountains, not typically found in this lower Mapuche region. But somehow it migrated its way down (like food often does) and the Mapuche have now adopted this grain into their own cooking and even consider it a staple ingredient. It’s common to eat in a warm salad, like we prepared that day. First we started with the oil we had made and fried some green onions in it. 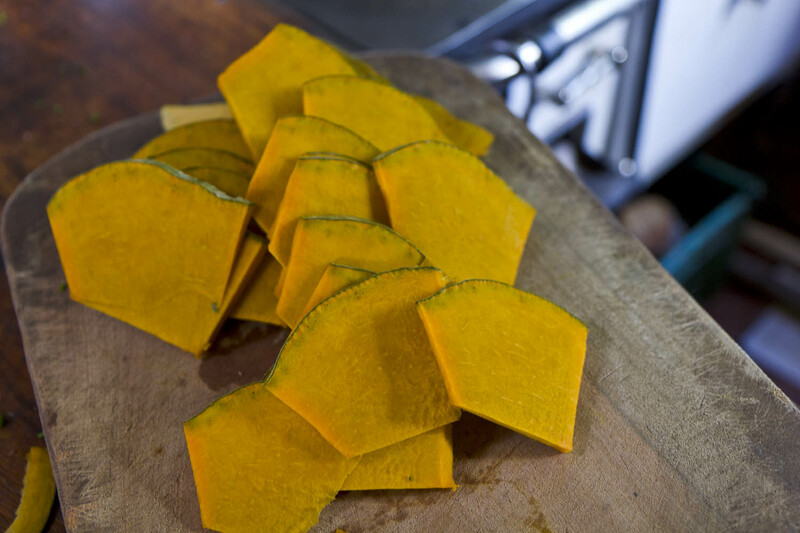 Then we added pumpkin that we had sliced thin and then roasted (no oil or salt was used in the roasting). After the green onions were fried, we stirred in the quinoa and the roasted pumpkin. Fresh cilantro was added at the end. It was so simple yet delicious. 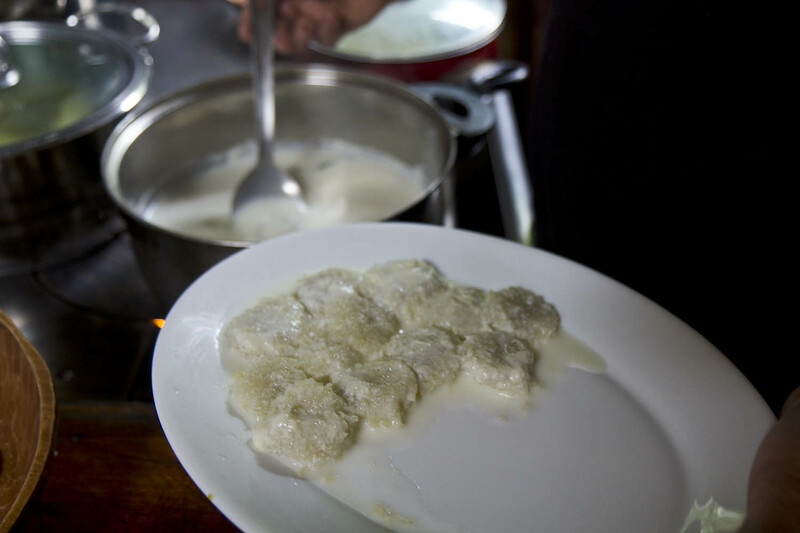 It was a great day and a good introduction to the flavors & ingredients in Mapuche cooking. I loved this style of cooking because it embraces the core of Chilean food which seems to be getting a bit lost with the introduction of fast and processed foods. Fresh ingredients using the best quality fruits, vegetables and grains. 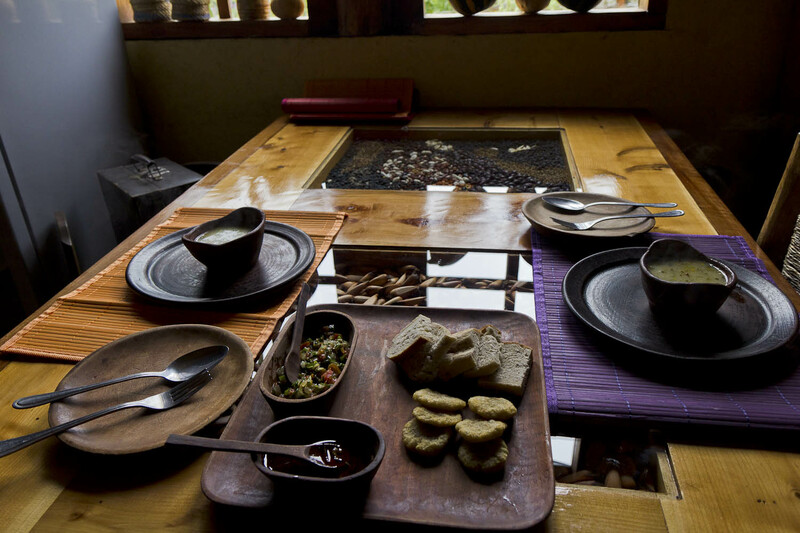 This is the essence of Mapuche cooking and it is what lies at the heart of all Chilean food. 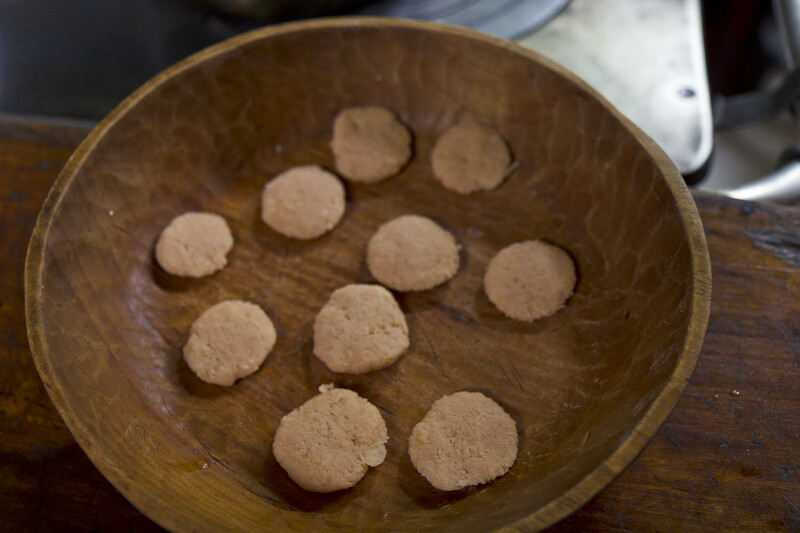 Stay tuned for some Mapuche recipes I am going to share with you! ← Discovering crudo in Valdivia & realizing the f-ing Germans are everywhere!